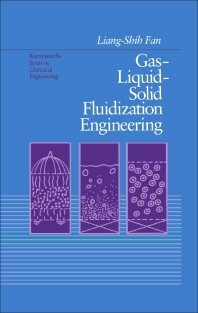 This book provides a comprehensive mechanistic interpretation of the transport phenomena involved in various basic modes of gas-liquid-solid fluidization. These modes include, for example, those for three-phase fluidized beds, slurry columns, turbulent contact absorbers, and three-phase fluidized beds, slurry columns, turbulent contact absorbers, and three-phase transport. It summarizes the empirical correlations useful for predicting transport properties for each mode of of operation. Gas-Liquid-Solid Fluidization Engineering provides a comprehensive account of the state-of-the-art applications of the three-phase fluidization systems that are important in both small-and large-scale operations. These applications include fermentation, biological wastewater treatment, flue gas desulfurization and particulates removal, and resid hydrotreating. This book highlights the industrial implications of these applications. In addition, it discusses information gaps and future directions for research in this field.